Stephen Green is in our film Priced Out, but not enough. Stephen is an economist, venture capitalist and activist. He oversaw property acquisition for the Portland Development Commission during some of the most volatile years of gentrification in the black community. He is also sits on many important boards including one that distributes funds from Portland's affordable housing bond and the board of the city's premiere black community organization (Self Enhancement Inc.). He also helped create the nation's first nonprofit brewpub. For Stephen, the black community is far more broadly defined than simply a neighborhood. He also sees wealth creation, rather than social justice, as the most vital challenge to charting an equitable future for Portland’s and the nation's African American community. Listen in as Stephen talks about the emerging role that the black middle class will come to play in urban America and all the things that Priced Out the documentary failed to cover. Cluj is experiencing “hipsterfication” among other “neo-liberal” market pressures. Photo from Ukulele Road Trip. Cluj-Napoca is a historic city of about 300,000 residents in northeast Romania. The city is considered the unofficial capital of Transylvania and it contains the country’s largest free university. Since the fall of communism in the 1990s, Romania's housing stock has been re-privatized. That's created the first generation of renters in 50 years while at the same time little rent regulation and low-cost housing have been put in place. Recently, a new mayor has pushed free-market reforms, tax breaks and zoning changes in a bid to make Cluj-Napoca into the hipster, tech-hub of Romania. The result has been skyrocketing rents and displacement of the region’s students, renters, and Roma (gypsy) population. It’s gentrification with a post-communist twist. Cornelius speaks with tenant organizers Vlad Muresan of the Cluj Tenants Union for an amazing look at how global capital puts the pinch on working people around the world. Join us for a live recording of a panel discussion about the threat by a mass transit project poses to the working class, and minority residents of Tigard, Oregon. Tigard is a suburb immediately to the southwest of Portland. There is a large streetcar project (known as light rail) planned for the area. As viewers of Priced Out (the documentary) know, that fifteen years ago local government built a light rail system that caused massive displacement of black and other residents in North Portland. The City of Portland anticipated that the project would create gentrification and promised to build 2,000 units of affordable housing to offset displacement. But 15 years later the city had only produced about 500 units. Priced Out producer Cornelius Swart, the Regional Arts and Culture Council, Unite Oregon, the Fair Housing Council of Oregon and City of Tigard teamed up to sponsor a screening and discussion aimed at engaging the residents of Tigard, and helping them avoid the mistakes of the past. After a five-year struggle, [documented in part in Priced Out (the documentary)] housing activists are getting the impossible. The Oregon Legislature is poised to be the first in the nation to impose rent control on an entire state. Coming on the heels of a housing crisis that scorched Portland and other cities with double-digit rent increases, many see rent control as a massive win for stabilizing working-class renters. Or is it? Housing activist and founder of Portland Tenants United, Margot Black, talks to us about what is in the bill and why she thinks it doesn’t go far enough. She also says what voters can do to help. Margot's recommended link to the Oregon Housing Alliance HERE. If you are fancy and have a WSJ subscription (we don't) you can read about Oregon rent control and why it's all Margot's fault HERE. Welcome to Season 2 of the Priced Out Podcast. People use a lot of different terms when referring to gentrification. 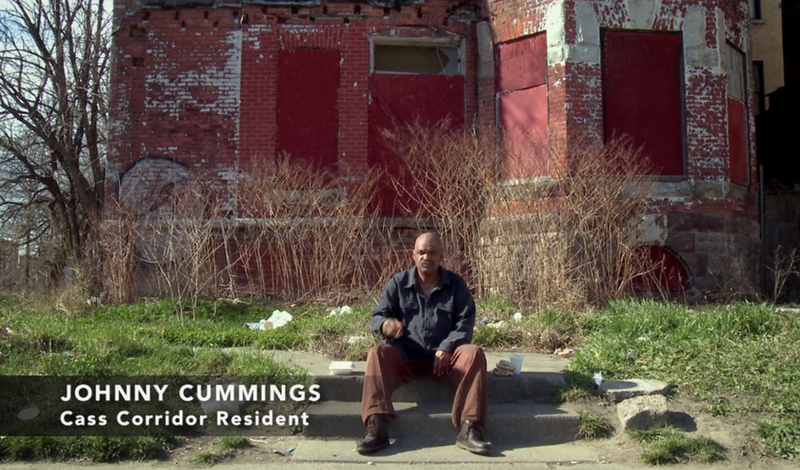 What’s the differences between revitalization, gentrification and a housing crisis? Why can't the government build affordable housing to compensate communities of color for years of housing discrimination? This is a follow up to our conversation on language and jargon that we did last year. All this plus Andru shares a big secret and we finally find out what’s under Cornelius’ pants. This week on the Priced Out Podcast we discuss how filmmakers portray the character of a gentrifying community. The discussion was at NW Documentary in Portland, Oregon, after the screening of a film about gentrification in Detroit entitled Last Days of Chinatown. The discussion is with Last Days director Nicole MacDonald as well as Sika Stanton, co-director of The Numbers, a short film about East Portland, and Priced Out director Cornelius Swart. Join Cornelius as he has an in-depth discussion with John Malpede about gentrification in and around L.A.'s Skid Row. Malpede is the founding artistic director of the Los Angeles Poverty Department. In recent years downtown LA has made a spectacular comeback. The area is now brimming with new museums, expensive condos, and lavishly restored movie palaces. But just a few blocks away sits Skid Row, the nation’s largest homeless community. Skid Row often looks like a third world country, and it now sits next to the gleaming street of the newly rebranded #DTLA. Skid Row is littered with outdoor residents and lined with clinics, social services, and SRO hotels that house the ultra poor. The city is currently advancing a plan to rezone the area and make it more attractive to developers. That move could put many, if not all of the thousands of Skid Row residents who actually have indoor living back onto the streets. Listen in to this dramatic tale of two cities. On this episode of Priced Out: The Podcast we talk about Tulsa, Oklahoma the former home of co-host Andru Morgan. Oklahoma was originally envisioned as a Native and African American “homeland.” After the discovery of oil, Tulsa produced so many wealthy black residents the Greenwood neighborhood was dubbed Black Wall Street. But in 1921 white Tulsa launched an ethnic cleansing campaign against black residents that wiped out the neighborhood in an outright massacre unlike any other in US history. Cornelius and Andru discuss that history as well as the current community issues including gentrification. They also speak with Kirk Wester the executive director of Growing Together. Kirk gives great insight into the Kendall Whittier neighborhood of Tulsa and how his program is helping lead the charge for “gentrification with justice.” Andru and Cornelius also continues their conversation about The Black Panther movie and give their own review! 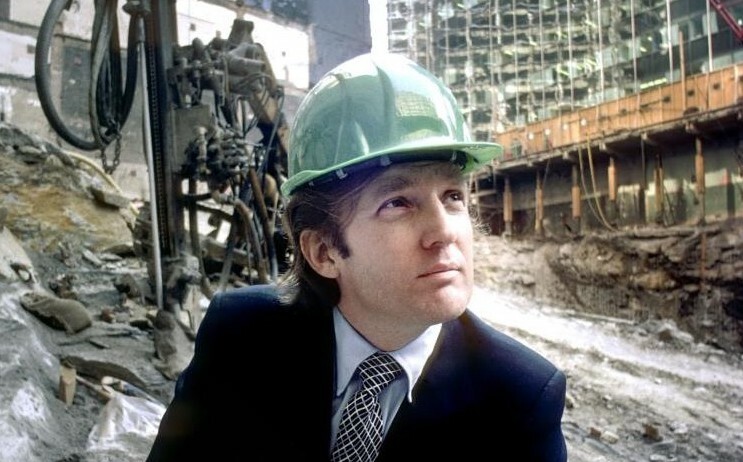 ABOVE: Donald Trump in his developer days. Will his administrations federalizing of gentrification be a boon for poor communities or will it cut a swath of destruction through them? Happy Holidays from the #PricedOut #podcast. We're wrapping up Season 1 and our first year as a podcast. It's been awesome and thank you for your support. In this conversation between Andru and Cornelius, Andru unwraps a present! Cornelius begs. Andru talks about black comic books. And we promise we will look/sound less janky next year.